If you or someone you love has been bitten and injured by a dog, you not only face several significant challenges but you also likely have several different questions. One of those questions almost certainly involves whether or not you can file a lawsuit against the person or people responsible for your injuries, knowing how to sue after a dog bite attack. 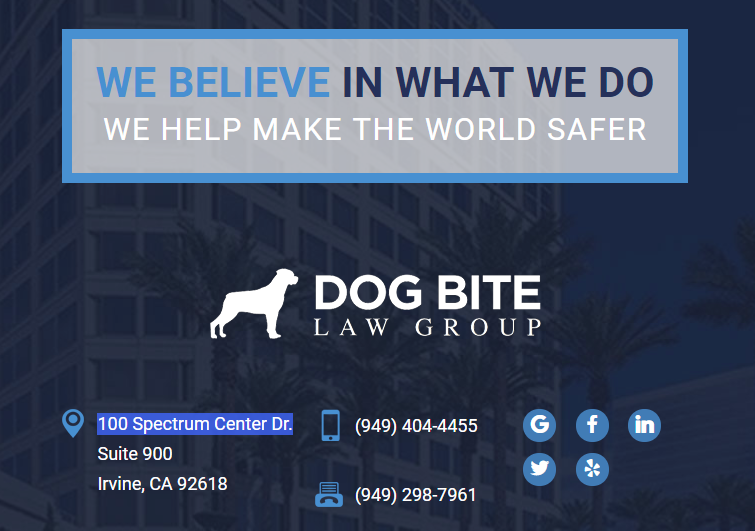 When you meet with a California dog bite lawyer at the Dog Bite Law Group for a free initial consultation, you will go a long way towards understanding how you should proceed. In the meantime, you may have some questions regarding the nature of a California dog bite lawsuit should you ultimately file one. Below you’ll find some examples of questions we’ve heard many times as we’ve met with clients after a dog bite attack. What Information Should I Organize? Was I bitten by the dog in question? Did the bite injure me? Did I suffer any other injuries in the attack, such as injuries from falling? Did the dog knock me down? Did I seek medical treatment after the attack? Do I have any documentation regarding this treatment? Was I trespassing on the owner’s property at the time? Did I provoke the attack by teasing or bothering the dog? Did I take photos of the injuries, the location of the incident or the dog? Did I get the owner’s contact information? Have I heard from any insurance companies? Did I report the incident to the police? Am I able to work? You were bitten by the dog. The dog bite attack caused injuries and damages. The owner owns the dog. None of the potential exceptions to liability apply to you, such as trespassing, provocation, etc. Who Else Could Be Responsible? A landlord – If you entered a property where the dog that attacked you in a common area where the landlord allowed the dog to spend time, it could lead to potential liability for that landlord. Someone else – If someone was “harboring” the dog at the time – meaning taking care of it while the owner was out of town, walking it for the owner, etc. – then it’s possible that this person could be liable for your damages. When Did the Attack Occur? Evidence is more easily preserved immediately after an attack. Witnesses are more likely to remember what happened soon afterward. The dog’s owner may be more inclined to resolve the matter in the immediate aftermath. Evidence of your injuries will be more distinct and overt. Overall, you should not wait to look into your legal rights and options after a dog bite attack. The longer you wait, the more challenges you could face when it comes time to pursue a recovery. There could be others, but every situation needs to be carefully analyzed by a California dog bite lawyer so that you can pursue all of the damages to which you may be entitled. The bottom line in these troubling situations is that you need to act as quickly as possible after an attack to give yourself the best opportunity to properly enforce your legal rights. Knowing how to sue after a dog bite attack will offer you some guidance in the legal process. You’ve been through a lot already and the last thing you need now is the additional stress of dealing with insurance company representatives, defense attorneys and other professionals as your losses mount. Instead, contact an Orange County dog bite lawyer at the Dog Bite Law Group today to schedule a free initial consultation.